In a previous study of students in second-semester general chemistry classes at the University of Minnesota, higher scores on a calculator-free Math Assessment, administered at the start of the semester, were found to correlate with higher grades in this course, despite the use of calculators during exams.1 The present paper describes some methods subsequently used to enhance students' math fluency through solving numerical problems using pencil-and-paper math, without the use of a calculator. When doing such problems in class, the instructor can efficiently interleave reminders of basic algebraic methods to simplify expressions, to work with common and natural logs, and to estimate results to one or two significant figures. Multiple-choice exams incorporating problems of this type, in which calculators were not allowed, were also administered. It is hoped that these methods can help motivate students to gain greater intuitive and conceptual insight through solving quantitative chemistry problems, and to become more fluent in expressing science in the language of math. Examples of such problems and their pencil-and-paper solution methods are presented in the areas of chemical equilibrium, acid-base reactions, buffers and titrations. Students' evaluations of this pedagogical approach are also discussed. Finally, we discuss some "broader impacts" of strengthening basic math skills, using as an example a suggested connection between some eligible voters' understanding of percentages and probabilities, and the outcome of the 2016 presidential election. In addition to the 38 multiple-choice problems on chemical equilibrium and acid-base chemistry included in the Appendix to the present paper, a document titled "Multiple-Choice Numerical Problems from Old Exams with Answers Describing Calculator-Free Solution Methods" is posted (136 pages). This packet has 165 problems on all of the quantitative topics that we typically cover in our second-semester general chemistry class, including the properties of solutions, kinetics, chemical equilibrium, acid-base reactions, ionic equilibria, entropy and free energy, and electrochemistry (e.g., Chapters 13 and 16-21 in Silberberg's "Chemistry"). Also posted is a document titled "Math Review for Calculator-Free Problem Solving" (30 pages), which can help second semester chemistry students review their high school (pre-calculus) math. In addition, math problems based on the chemistry problems in "Multiple-Choice Numerical Problems", with the chemistry content removed, are provided in a separate document titled "Math Practice Problems for Calculator-Free Numerical Problem Solving" (50 pages). This resource can be helpful for students who want to brush up on useful math techniques before starting the chemistry class. Readers are welcome to view and download all of the posted materials, to use them as is, or to modify them as needed, for use in their high school and college chemistry (and math) classes. Please let the author know of any errors spotted, so that they can be corrected (dleopold@umn.edu). In Section IIA, examples are taken from 8 of the 38 problems involving chemical equilibria and acid-base reactions which are included in the Appendix to this paper. Section III presents some of the student feedback concerning our "experiment" in giving calculator-free quantitative exams. In Section IV, some possible broader impacts of enhancing the math fluencies of our high school and college chemistry students are discussed. 1. What is the log of 100? What is the log of 0.0001 ? We last gave this calculator-free Math Assessment at the start of the Spring 2016 semester to a class of 139 students in our second-semester general chemistry class (Chem 1062, "Chemical Principles II"). For the first question, 55% of the students answered correctly that log (100) = 2, while 36% chose 10. Thus, about one-third of the class apparently confused the log with the square root. This inference is supported by the students' responses to the second question, for which 50% correctly chose log (0.0001) = -4. Again, the most popular incorrect answer (chosen by 21% of the students) was the square root, 0.01. Since it is likely that essentially all of our students knew that 102 = 100 and 10-4 = 0.0001, it appears that only about half remembered the meaning of the common log as the exponent of 10. Our results for Spring 2016 were somewhat improved over those obtained at the start of the corresponding chemistry class (then numbered Chem 1022) a decade earlier, in Spring 2006.1 At that time, 50% of the 360 students correctly chose log (100) = 2 and 44% chose 10 (as compared with 55% and 36%, respectively, in 2016). In 2006, 41% of the students correctly chose -4 for log (0.0001), while 27% chose 0.01 (as compared with 50% and 21% in 2016, respectively). However, it goes without saying that it would have been better for all of the students to have correctly answered these very simple questions. With this insight into the math backgrounds that a significant percentage of our students bring to their college chemistry classes, we decided to interleave more basic math review and "mental math" into lectures and active learning exercises. In addition, during four semesters, in which we had the flexibility to allow all students to take twice the usual time for exams, we did not allow the use of calculators on our second midterm exam. This exam, which did count toward the students' course grades, covered chemical equilibrium and acid-base chemistry, including buffers and titrations. As noted in the Introduction, 38 multiple-choice, quantitative questions selected from these four exams, with explanations of the pencil-and-paper methods that may be used to solve them without a calculator, are included in the Appendix to this paper, and 8 of them are used as examples in the following discussion. In class discussions, when introducing pH calculations, one can start with simple problems that allow a review of base-10 logarithms to be interleaved, without taking much class time away from the chemistry. It is helpful to refer to the results of the Math Assessment for that class, so that students who know this material realize that there are others in the class for whom this review is useful. When introducing pH calculations of a solution of a strong acid, one might start with a problem like the following (like #18 in the Appendix). • What is the pH of a 0.001 M aqueous solution of nitric acid (HNO3) ? This is like the second question discussed above from the Math Assessment (log 0.0001 = -4), but here we have included the correct number of significant figures in the pH (one). After inviting students to solve this problem "in their heads", one can quickly review the meaning of the common, base-10 log as the exponent of 10. A few examples, such as those listed below, can remind students of what they really already know, to help them more readily access this knowledge in the future. Since any number multiplied by 100 remains unchanged, 100 must be exactly 1 (as is true for all bases, not just for base 10). So, 10-2 must mean 1/100, the reciprocal (or inverse) of 102. We can also use this relationship (10a x 10b = 10a+b) to remind the students of the meaning of fractional exponents. Since both numbers being multiplied together are identical and the product is 10, each must be √10. Since multiplying these 3 identical numbers together gives 10, 101/3 must mean the cube root of 10. Regarding significant figures, one can remind the students that the number of digits after (to the right of) the decimal point in the log (or in the pH) count as significant figures (with the number before the decimal point representing the order of magnitude). Thus, the number of digits after the decimal point in the pH should be equal to the number of sig figs in the concentration of H3O+. In this problem, the concentration of 0.001 M is given to 1 sig fig, so we write the log as -3.0 (and the pH as 3.0), with one digit after the decimal point. The next problem (#19 in the Appendix) requires calculating the pH of a strong acid whose concentration is not exactly a negative power of 10. • What is the pH of a 5 x 10-2 M HClO4 (perchloric acid) solution? log ( m n ) = log (m) + log (n) The log of the product is the sum of the logs. 10a x 10b = 10a+b . Thus, we have shown that "the log of the product of two (or more) numbers is the sum of their logs". In our 2016 Math Assessment, 65% of the students correctly answered the question, "What is: log (a b)?" with "log a + log b", and 25% incorrectly chose the product, ( log a )( log b ). These results were about the same as those obtained in 2006 (64% and 27%, respectively). The following poem, summarizing some of these logarithmic relationships, was written by Mrs. Deedee Stacy, her 4th grade students at Mounds Park Academy in Maplewood, Minnesota, and the author, after we held a few classes on this interesting topic in 2007. These eager 9 or 10 year old students, who had just learned about exponents and powers of 10, were delighted to learn to do calculations "in their heads" for which many college students required a calculator! The log of that is two. That’s all you have to do. The log of that is nine. And you will do just fine. And two plus one is three. Its log just changes sign. Getting back to our pH problem, we needed to calculate the log of 5 x 10-2 . What is the log of 5? We know log (5) must be less than log (10), which is 1. It must also be greater than log (1), which is 0. So, log (5) must be between 0 and 1. Actually, to 2 sig figs, it's 0.70 . So, one can just remember the logs of four integers, and easily deduce the others. Since the pH is -1 times the log, the pH is +1.3 . • Ca(OH)2 is dissolved in water at room temperature until the pH of the solution is 10.7 . What is the hydroxide ion concentration, [ OH­ˉ ], in the solution ? How can we calculate the value of a number with a non-integral, negative exponent? [OH¯] = 10-pOH = 10-3.3 = 10+0.7 x 10-4 = 5 x 10-4 M.
Ka = 2 x 10-4) and 0.6 mol of sodium cyanate (NaCNO). (where [acid]o and [base]o are the initial concentrations of the weak acid, HCNO, and its conjugate weak base, CNOˉ, prior to their reactions with water). • If 0.025 mole of NaOH is added to 500. mL of a 0.200 M solution of HCN (hydrocyanic acid, pKa = 9.2), what is the pH of the resulting solution? This is now a buffer solution (since it has similar amounts of a weak acid and its conjugate weak base, and no excess OHˉ from the NaOH added). log ( m / n ) = log (m) - log (n) The log of the ratio is the difference of the logs. and the meaning of negative exponents (10-b = 1 / 10b ), both discussed above. Thus, 10a x 10-b = 10a-b = 10a x (1/10b) = 10a / 10b . Thus, we have shown that "the log of a ratio of two numbers (m/n) is the difference of their logs" (that is, the log of the numerator minus the log of the denominator). Ka value of 6 x 10-5. This is true for other bases as well, not just for 10. Again, we see that an exponent of ½ means to take the square root, as was noted above. Now back to our weak acid problem, where we needed to take the square root of 1.8 x 10-5. We can estimate 18½ (which means √18) to be about 4, since 18 is close to 16 and √16 = 4. This "trick" for calculating the square or cube roots of numbers in scientific notation is quite handy, and is used in 10 of the 38 problems listed in the Appendix (# 4, 11-13, 15, 23-26, 29). • Given that the pH of a 0.02 M solution of a weak monoprotic acid is 5.0, estimate the acid-dissociation constant (Ka) for this acid. see Section II B of the Math Review for a discussion of why this works. 104 / 102 = 10(4 − 2) = 102 (which means: 10,000 / 100 = 100). See Section II E of the Math Review for a further discussion of why this works. Example: What is ln (3.0 x 10-8) ? Since the equilibrium constant increases with increasing temperature, we know that the reaction is endothermic, so ΔHo is positive. Another benefit of using the sorts of numerical problems in the Appendix is that the simple numbers chosen allow the chemistry concepts to be communicated more clearly. Thus, these types of problems are useful for introducing problems in lectures. The deliberate choice of pencil-and-paper math-friendly numerical values, and estimating results to one or two significant figures, can reduce the extent to which the chemistry is obscured by the math. Of course, in labs, the need for more accurate and precise values often require the use of calculators and/or computational programs. Since many students come to our second-semester general chemistry classes with an overdependence on calculators, and they no longer have their pre-college math books and worksheets, it is useful to provide review materials. As noted above, readers are welcome to make use of our 30-page "Math Review for Calculator-Free Problem Solving," which can be viewed and downloaded from the Moodle link on p. 1, either using it as is or making their own modifications. Its table of contents is given on the next page. This document attempts to be comprehensive in reviewing the basics and explaining math relationships that students in general chemistry may find useful. (There is even a section on long division, which some students have admitted they were never taught!) This review also includes many sample calculations, to give students a better understanding of how these equations can be used. During some semesters, we have also provided the option for students who desired extra math review to attend workshops or problem-solving sessions ("ChemFoundations") led by undergraduate, graduate student or postdoctoral volunteers. Some additional math resources are listed on p. 17 of our Math Assessment answer key, which is also available at the Moodle site described on p. 1. By administering the calculator-free Math Assessment during the first week of classes and encouraging students who got low scores to review their high school math to do well in this class, students can be encouraged to make effective use of these resources to help strengthen their math fluency throughout the semester. As pointed out by Hartman and Nelson and quoted above, "Arithmetic facts and fundamental algorithms" must be "thoroughly mastered, and indeed, overlearned" to avoid the bottleneck in novel working memory." 2 We have found that the best way to motivate students to really master the basic math techniques outlined here is to give at least one midterm exam that counts toward the course grade, including many numerical problems, for which the use of calculators is not permitted. We have done this during four semesters for our Exam 2, typically given during the 9th week. This exam covers chemical equilibrium and acid-base reactions, including buffers and titrations. By then, students have had ample time to brush up on their calculator-free problem solving, and will already have done many such problems in class and for homework. Our midterm exams each include 20 multiple-choice questions, each graded as 0 or 5 points. Scratch work is not counted, no partial credit is given, and there is no penalty for incorrect answers. Roughly 2/3 of the questions on the second midterm exam typically require calculations for which most students would normally use a calculator. To enable students to do these calculations on paper, we use paper-and-pencil math-friendly numerical values in the problems, and allowed twice the usual time do to the exam (2 hours instead of the usual 1 hour). The multiple choice questions with numerical answers included 8 - 10 answers per question, arranged in ascending or descending order so that the desired (or closest) answer can quickly be found. The idea behind having so many answers is to encourage the students to adopt the strategy of actually doing the calculation and finding their answers among those listed. Since some of the listed answers are the results of common errors, obtaining a value included among the answers does not mean that it is correct. Since so many answers are listed, one is not likely to correctly identify the one correct answer by relying entirely on the process of elimination or on rough estimates. It is hoped that this exam format encourages students to work hard at their homework and practice problems, to develop their facility at both the chemistry and the math. For example, in the van't Hoff problem discussed above (#14 in the Appendix), noting that ΔHo must be positive, since Kp increases with increased temperature, eliminates 4 of the answers listed. Noting that ΔHo is likely to be large, since Kp increases so dramatically with increased temperature, eliminates another 2 answers. These are both useful insights and can help the student catch calculation errors. However, this still leaves 3 reasonable answers listed, so to identify the correct one, one must still do the calculation. Often a question whose exact solution requires a calculator can be converted to a calculator-free multiple-choice question by spacing out the listed answers so that good estimates, to one or two significant figures, enable one to choose the correct answer as the closest one among those listed. The potential advantages of encouraging students to train themselves to perform calculations on paper, rather than going right from the question to the calculator as is often done, are numerous. On paper, students may be more likely to include units with the numerical values in their equations, reminding them of the meanings of the numbers. They are more likely to use algebra to solve for an unknown, and to simplify products or ratios of expressions. Most importantly, the most efficient way to check that one is avoiding numerical errors, in the absence of a calculator, is to think about the meaning of the numbers. For example, do we need the pH of a 2 x 10-4 solution of a strong acid? One can make a mental note that the pH must be below 4, not more than 4, since this is more concentrated than a 1 x 10-4 M solution, which would have a pH of 4. Constantly checking whether the calculations make sense, and making rough estimates, can reinforce the student's understanding of their meaning. This method of checking the calculations can provide much more conceptual insight than simply checking that one has plugged the correct numbers and functions into the calculator. It is important for the instructor to model a sense of ease with the sort of pencil-and-paper (whiteboard and marker) techniques that we are urging the students to adopt. For most of us, who have become nearly as calculator-dependent as our students, this requires some practice. To experience first-hand the pleasures of doing problems on equilibrium and acid-base reactions without a calculator, it is helpful for the instructor and teaching assistants to work some of the 38 problems included in the Appendix themselves. The topics of these problems are listed below. # 33, # 34 Buffers: calculate the pH of a solution with a given number of moles of a weak acid, its conjugate weak base, and strong base, given the pKa of the weak acid. Some students are genuinely traumatized by the prospect of having to do calculations without a calculator under timed conditions (even if twice the usual time is allowed, as was the case for our calculator-free exams). One semester, a student obtained a letter from our Disability Resource Center, explaining that he had discalculia and that his accommodation required the use of a calculator. For such students, it is better to excuse them from the calculator-free constraint, rather than to cause them excessive stress. It is useful to remember that not all of our students in general chemistry are planning careers in the STEM fields. Many students are required to take our introductory-level classes as part of majors which do not otherwise require these sorts of math skills. While desirable, forcing pencil-and-paper calculations on college students who find this prospect terrifying may only worsen their fear of math, and prevent them from developing an appreciation for chemistry. For such students, these interventions may have been much more effective much earlier in their educations. In midterm and end-of-semester evaluations, students were invited to share their opinions of our calculator-free midterm exam "experiment". In general, as might be expected, the responses were mixed, with more negative than positive ones. For example, for one class (Chem 1022, Spring 2011), some of the students' written comments on our calculator-free Exam 2 and associated math reviews and practice problems are listed below. Indeed, some of the students' complaints were justified. That semester, the average on our calculator-free exam was 56%, as compared with the 64% average for the other two midterms and the final exam. Although some correction was made for the lower class average on Exam 2 by curving the course grades upward at the end of the semester to give the usual class distribution, some individual students' grades were negatively affected by this calculator-free exam. "Calculator free test was an interesting idea. Like the math review. I'm glad we only had to do one of these exams - keep it this way." "I think it was useful because it required more critical thinking and less "randomly plugging things into a calculator." "I think it's good to do - too many people don't know basic math!! Yes. Everyone should know basic computations w/o a calculator." "Yes, I feel like it taught me to estimate magnitudes easier...Yes, I appreciated the fact that I had to learn logs and such." "Honestly, I think the calculator-free exam is helpful because I've found that I along with others have become too calculator dependent. It also forced me to increase my comfort level with scientific notation, which had atrophied." "I thought the calculator-free exam was a good idea. It helped me become less dependent on my calculator." "It reminded me how dependent on my calculator I am...Yes, it was a good idea." "I thought it was well worth it...By making the exam calculator-free, I studied very hard for this exam to make sure I would do well. I wish all were calc free to inspire the same panic!" "I liked the calc-free test, I think it will help me on the math on the MCAT"
"I don't think it will be particularly useful unless I take the GRE or MCAT, but I don't know about that yet. It's useful for the MCAT, from what I've heard." "It was useful, strengthened math skills." "Interesting idea. Very useful to teach how to do calculations in head." "The calculator free aspect did not make it more difficult." "Not having a calculator just made it take longer, not necessarily harder." "I thought it was a fair test. It was somewhat useful but I don't think it will be that helpful in the future." "It had reasonable meaning but it was difficult. I just finished Calc 1, 2, 3 & 4 but I kept blanking on basic math - I'm used to using TI-89 graphing calculator." "Horrible. We have math classes for a reason! We would not be expected to do this math mentally in a lab when even high schools hardly teach pen + paper methods anymore." "It was unfair that one of our exams was calculator-free. I didn't/don't agree that we had to do math/calculations by hand since this is not a math course (even math courses allow us to use calculators)." "I was not a fan! My calculator was my security blanket!" "The calculator free exam would've been more effective on an easier midterm, I found it hard to do acid-base stuff without one...It reminded me how dependent on my calculator I am." "The calculator-free midterm seemed pointless to me. It would have covered the same material if using a calculator but would have taken less time." "I feel like we spent more time on math than chemistry. I do not think it was useful." "I feel like I spent a lot of time trying to understand the math behind the questions, rather than the chemistry aspect. This test hurt my grade, but I guess I could have spent more time studying." "This was my lowest test grade by far. I felt like I spent the majority of my study time trying to figure the math out and wasn't confident with the subject matter because I was focused on the math." "I don't understand how useful calculator-free exams are, especially when logarithms are a major portion of it." "I didn't like it because I was more worried about the math than the chem." "Also the calculator-free exam I felt should have been free response so we are not punished for being not very good at math, but could receive partial credit for correct procedure." "I did not agree with the calculator-free test "experiment." I felt it only decreased the value of the chemistry concepts because I focused more on memorizing log rules." "I feel it would be of better use in higher level chemistry. Not a general chem." "I didn't find this helpful. It was extremely stressful and distracted me from study the concepts + how to set up + perform the problems." "It should not be done again. Just because I had an extra hour does not mean it helped." "I don't think it will be useful in the future b/c I will always have a calculator and highly doubt I'll have to do logarithms in my head." "I thought it was interesting to find out how dependent I am on my calculator.. I know I would have done better on this exam with a calculator. I think it isn't really useful. While it is important to know math, at this point, calculators are everywhere. Mental math isn't always the most efficient option. Estimating logs isn't useful." "I thought not being able to use a calculator was very stressful and it made it more of a math test than a chem test...No, I will probably never be in a situation where I won't have access to a calculator." Many people share the sentiments of the last students quoted above: "I will always have a calculator," "calculators are everywhere," "I will probably never be in a situation where I won't have access to a calculator." But, one might wonder whether a more mathematically fluent electorate might make different decisions about important political, social and environmental issues. Maybe we would even have elected a different president? Of the eligible voters who would have been strongly opposed to a Trump presidency, how many really understood these percentages and probabilities on an intuitive level? How many could make an informed decision of whether to vote for Hillary Clinton, or to skip voting and save a lot of time off from work or school on a Tuesday, or to "vote their conscience," since Hillary Clinton was so likely to win that she didn't need their vote? On a less consequential note, one may have noticed an odd feature in the media reporting about a year earlier, concerning a drug, Daraprim, whose cost had skyrocketed.10 It seemed that every time this story aired on TV, the reporter said that the price had increased by "5,500 percent". One might wonder why they did not sometimes say that it had increased 55 times, or by a factor of 55, which both seem to be simpler ways of saying the same thing, and would allow them to vary the wording. Did they want their audience to think that it had increased by a factor of 5,500? (Isn't a factor of 55 bad enough?) Or, did the reporters and writers themselves not understand that 5,500% is the same as 55 times? In September 2015, we read as headline news, "drug price increases 5,000 percent overnight". If a pill initially costs $1 and then the price increases 5,000%, what is the new price? Surprisingly, the correct answer, $50, was chosen by only 56% of the students, and 32% chose $5,000. So, about one-third of the students in this second-semester chemistry class at a fairly selective state university thought that 5,000% means an increase of 5,000 times. Now back to Election Day. If the news media reported that Hillary Clinton had an 85% chance of winning, how many readers and listeners thought that this meant that she was 85 times more likely to win than was Donald Trump? How many commentators, writers and politicians shared this math misconception, and how might it have influenced their reporting and related activities? If one-third of our college chemistry students interpret "percent" to mean "times", isn't it likely that this math misconception is at least as prevalent in the general electorate? Yes, we always have access to a calculator. But, how many people pulled out their calculators to calculate that 85% / 15% is only a factor of 5.6? If more people had understood that the chances were better than 1 in 6 that Donald Trump would actually become president, might more of the non-voters and third party voters have realized, as Al Gore emphasized, that their votes really counted? The price we pay for a mathematically illiterate electorate can be steep. People often make critical decisions involving numbers based mainly on gut feelings and intuitions, without first consulting their calculators. As high school and college chemistry teachers, we can do our parts to encourage our students to develop a deeper level of mathematical fluency. This skill can better inform not only their future academic and career activities, but also the feelings and intuitions that will influence some of their most consequential decisions. 1. Leopold, D. G.; Edgar, B. "Degree of Mathematics Fluency and Success in Second-Semester Introductory Chemistry," J. Chem. Educ., 2008, 85 (5), 724-731. 3. Watters, D. J.; Watters, J. J., "Student Understanding of pH: I Don't Know What the Log Actually Is, I Only Know Where the Button Is On My Calculator," Biochemistry and Molecular Biology Education, 2006, 34 (4), 278-284. 8. Ibid., Frequently Asked Questions About the 2007 Minnesota Mathematics Standards and Benchmarks for Grades K-12 (posted Jan. 2013). I think readers will very much appreciate your making available all of the supplemental materials you use with your methods! In chemistry, you review/teach topics such as simple exponential math and numeric logarithm calculations that in the early 1960’s (when those of us who are dinosaurs were in school) were heavily practiced in high school Algebra II, and then again in high school chemistry. In your experience, for the students you teach, is the problem that students have forgotten how to do these types of calculations, but can refresh their memory quickly, or that this is the first time they have practiced them enough to move them into memory? Yes, I hope that people find the materials posted on our Moodle page to be useful! I hope that if people have trouble logging on, they contact one of us so we can help figure out what's wrong. Also, if people find errors in the math or the explanations, please let me know so I can fix them! I think that as educators, we generally have the wrong idea about learning - we act as though we're programming a computer with information, and once installed, it will never be forgotten. Actually, we should probably think of learning more like athletics (which I know virtually nothing about). Do people training for college sports competitions refuse to do sit-ups and push-ups, because they have already mastered those skills in junior high? Similarly, to help our students "keep in shape" mentally for more advanced topics, I think that we should take every opportunity to remind them (and ourselves) of the underlying math, chemistry, etc. that they have already been taught. This is one way to teach them, by example, how to "really understand" something by recognizing its connections to the fundamentals on which it is based. "Similarly, to help our students "keep in shape" mentally for more advanced topics, I think that we should take every opportunity to remind them (and ourselves) of the underlying math, chemistry, etc. that they have already been taught. " This is an interesting point. I have always let them use calculators to avoid excessive stress due to "no calculator rule" in my classes. I have noticed something amazing. I wonder once they understand how math works, calculators have a placebo effect. I have noticed students saying "my calculator is acting up". That is a 'aha' moment for me with respect to their learning. When I ask them to check, they run estimates and start performing math in a manual mode. Often times it is parenthesis issue on the calculator. So, I agree we should "keep them in shape" by revisiting every now and then. Reading the question about the price of the pill saddens me because NO correct answer exists among the six proffered new prices according to the specified text of the question; it seems that a problem of literacy exists here. If the original price were $1 per pill and if that were to increase 50 times, or to increase 5000 (no comma according to SI convention) per cent of that price, the price after the increase would be 51 times the original price or $51, which would be 5100 per cent of the original price, according to the literal wording of the question. If the original price were $1 per pill and that were to increase to 50 times the original price, or to 5000 per cent of that original price, the price after the after would be 50 times the original price or $50, which would be 5000 per cent of the original price. How can one expect students to cope properly with this poorly expressed question? Yes, I agree that the "broader impacts" section at the end of this paper are likely to sadden the reader (and the writer), but not primarily for this reason. The percentage by which the price increases is given to one significant figure, and the answers are also given to one significant figure. In this multiple choice question, the closest answers to the correct one differ by factors of 10 ($5 or $500) and there is no option for "none of the above" (for exactly the reasons you describe). The interesting result is that one-third of the students chose $5,000 rather than $50. Are you sure that, for the integers involved in this question, the aspect of significant figures arises? I should be interested in a justification of this point of view. Allow Only 4 Function Calculators? Permit me ask you both the same question. I see the value of estimation, and agree with Dr. Leopold that it takes at least occasional tests without calculators allowed to encourage students to learn those skills. At the same time, given that typically 30% to 40% of students, as shown by the MUST results, likely do not know their times tables, I think we may realistically need to gradually build those skills to avoid losing too many of the “bio kids” who don’t have the preparation of the pre-meds and prospective physical science and engineering majors. So here’s my question. When precise answers are needed, could we start by simply requiring that the exponential math be done by mental arithmetic, and do so with a calculator that does not accept exponential notation? If students are taught the simple rules for exponential math, what calculations are there in the two semesters of general chemistry that could not be solved to needed precision using a simple, cheap 4 function calculator? Such calculators add, subtract, multiply, and divide, usually include square root, but do not accept exponential terms or have log buttons. Logs are usually not reached until 2nd semester, and if students are given (or better, commit to memory) the logs to 2 places of numbers 0 to 10, they can interpolate to get most answers to proper sig figs without the log button, using Dr. Leopold's methods. Higher roots of the number (non-exponental component) of values might need to be estimated by trial and error in Ksp and maybe other K calculations, but that would be a valuable numeracy exercise as well. In the Texas MUST test, one of the easiest questions was Q5, which was two simple powers of 10 divided by two powers of 10, and according to Texas Figure 2, 65% to 90% missed it, of students in both semesters of gen chem. Exponential math requires addition, subtraction, and multiplication of generally small whole numbers. Those are the skills that most need to be automated, because they are the foundation for numeracy. Requiring exponentials be solved separately from the numbers on a calculator would encourage overlearning of at least those fundamental skills. If they can’t add, subtract, and multiply simple whole numbers, can we say they know chemistry? So, to mix requiring estimation and precise answers, throughout gen chem, for which topics would a precise answer require more than a 4 function calculator? I like the idea of keeping calculators and computer programs in lab work, where sig figs, statistical analysis of the data, etc., are important. But for problems worked in the lecture part of the class and associated questions on calculator-free exams (perhaps just one per semester), I think it's helpful to keep the numbers simple enough that students can solve the problems correctly without a calculator. What's the big rush? If one is testing routine memorization, as in a vocabulary test in a language class, or a challenge to fill in the elements of a portion of the periodic table, sure - students can prepare in advance and little thought is required during the test. However, hopefully not all of the questions on our chemistry tests are designed to test rote memorization. For the calculator-free exams I gave to my gen chem classes, students were allowed twice the usual time (2 hours instead of the usual 1 hour), even though only about half of the questions required numerical calculations. Students have incredible memories and problem-solving skills! It's a matter of setting clear and reasonable expectations, modeling this method of calculator-free problem solving oneself in class repeatedly and clearly explaining the methods (which can take some effort since many of these have become second-nature to the instructors), and reminding students of the relevant math tools without condescension. Refreshing their memories of how to multiply two 2-digit integers (as in #1 of the MUST test) is a lot easier than some of the skills they develop for other activities, like memorizing lots of detailed information for their biology or biochemistry classes, or singing in a variety of unfamiliar languages in their choir groups. If they're restricted to doing some subset of problems without a calculator (for credit), some students may get a slow start, perhaps even surreptitiously checking themselves by counting on their fingers. That's fine! With repeated practice and less pressure to do things quickly, they'll naturally speed up. They'll also figure out ways to save themselves work by using some of the short-cuts that many of us use automatically; e.g., first writing the problem out on paper, including units, solving for the unknown before substituting values, cancelling like terms and simplifying ratios, estimating the order of magnitude and sign of the result, etc. All of these manipulations remind them of the meanings of the numbers, including their units. I think that a lot of students experience a sort of "impostor syndrome" in STEM classes - it's as though they have an intuition that there's something important that they're missing, but aren't sure what. Helping them strengthen their basic arithmetic and algebra skills in the context of solving chemistry problems might well make many students feel more confident that they really do "get it", and have a greater sense of satisfaction and creativity in the process. Thanks, as always, for your thoughtful comments! The time pressure in solving questions on an exam is always an issue. At the beginning of the semester, give students "extra time" to solve questions in class without a calculator and as the students math skills improve with practice, then that time allowed for solving questions in class can be shortened. An Impact of State Math Standards? Your testing found that in 2016 at the University of Minnesota (Twin Cities), 55% of your 2nd semester gen chem students correctly solved log(100). On the Texas MUST test, the percentage of students correctly solving question 10a), which was Log(1000) or Log(10,000), very similar to your question above, ranged between 45% and 0% in the 9 different cohorts sampled from first and second semester gen chem (see Texas Figure 2). Overall, 23% of tested Texas students answered correctly. In Minnesota, 50% solved log(0.0001) correctly. In Texas, where question 10b) was log(0.1) or log(0.0001), very similar, the percentage in the 9 cohorts answering correctly varied between 28% and 0%. On average, 17% answered 10b) correctly, the lowest percent correct of any question on the MUST test. Your campus is, as you point out, highly selective, but so are several of the Texas schools tested, including the state flagship UT Austin. The Minnesota 55% and 50% right is not a great result on the easiest possible questions about logs (which may be because of how the Minnesota standards handle log mastery, as you point out), but none of the Texas cohorts did nearly so well. On the questions overall, many factors might explain state to state differences, but I am wondering if one significant factor might be state K-12 math standards. One of my interests is reading research on “state K-12 math standards” and how they prepare students for science majors. Since 2002, Minnesota’s K-12 math standards have been among the best in the nation in aligning with how cognitive science says math needs to be taught -- because they emphasize computational fluency. In recent 8th grade testing, Minnesota average scores were far above the U.S. average, and in international math testing, Minnesota 8th graders essentially tied with high-scoring Japan (see http://arxiv.org/abs/1608.05006 ). Texas K-12 math standards have historically been more like the norm in US states – standards that encouraged early calculator use and decreased practice in computation fundamentals. One way to test whether state standards are a factor in STEM preparation might be to compare your 2016 test results for in-state and out-of-state students. If ACT math scores for the two cohorts and your math test results were both available, the comparison might shed some light on the impact of math standards on preparation for STEM courses. If the 2016 IRB data collection did not permit this, perhaps testing in an upcoming year might? The 8th grade math testing data from Minnesota is enlightening, but data on the extent to which K-12 math standards have a positive impact on STEM preparation would be of interest. I believe, to those who study state and national education policy. Might there be a possible paper topic in there somewhere? You raise some interesting points. For the two log questions, as you point out, 55% of our students solved log (100) = 2, and 50% solved log (0.0001) = -4. But, these were students in our second-semester general chemistry class. Since the Texas study shows a marked improvement in MUST scores for students in Chemistry II (or Engineering Chemistry, but that had a very small sample size) vs. Chemistry I, we really should compare to the Chemistry II scores. The 9 graphs in Figure 2 aren't identified, but perhaps the one labeled "Gen Chem 2" (in maroon) is for second semester chemistry students at one or more of the universities whose students tend to have stronger high school backgrounds? If we focus on those results, the comparisons are 55% (U of M) vs 45% (Texas) for the first log question, and 50% vs. 28% for the second. In addition to high school math programs, perhaps one contribution to these differences is the different formats of the two calculator-free math assessments. Ours is multiple choice with 10 answers per question, so if a student just guesses (which is encouraged since there's no penalty for incorrect answers), there's a 10% probability of choosing the right answer. Also, for the first question, the numerical answers listed are all integers (as are all but one of those for the second question). These choices can give the student an idea of the kind of answer we're looking for. So, one might guess that the Texas scores would have been at least 10% higher if this multiple choice format had been used - that would bring the scores up to about 55% for the first log question, the same as for our students, and about 38% for the second. I thought this was important because many students were also taking calculus, and in those classes, they might refer to natural logs using "log" rather than "ln". I see that the MUST question was also prefaced by, "Write the base 10 log of," but perhaps some students were still thinking in terms of natural logs. It would be interesting to know what the students' most common incorrect responses were to the two log questions (as well as to others) in the Texas study. Were they the square roots, as we found? Did students attempt to give the natural log rather than the common log? Were answers considered wrong if they included extra sig figs? Regarding your second point, I was glad to learn about the superior math scores for Minnesota's 8th grade students. But, it looks like we still have a long way to go! Regarding the scores of our students who went to high schools in Minnesota vs. other states, and for international students, here's what we found for the percentage correct out of the 23 questions on our 2016 Math Assessment. Since these are small sample sizes, I don't think that we can conclude anything from these results about differences in math fluencies by state. I'll be teaching a much larger class in the spring, though. Speaking of which, the other day, within just a few minutes, I happened to talk to three international students - two postdocs from China and Iran and an undergrad from Russia. They all told me that they weren't allowed to use calculators in high school. Maybe those countries (and others?) are onto something! Related to An Impact of State Math Standards? Thanks for great points. 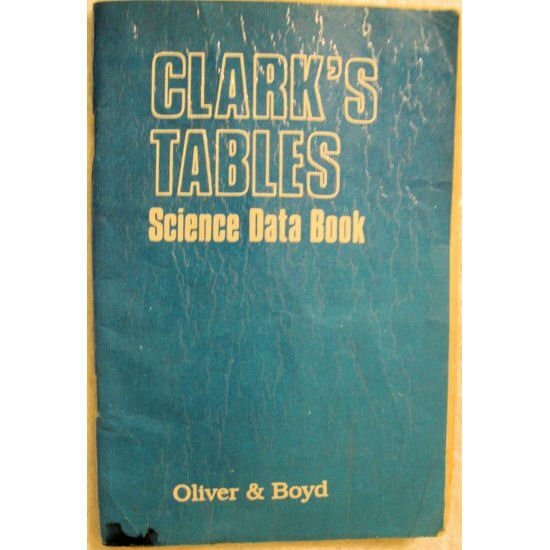 In fact, as a high school student I used something called Clarks table book for logs, trignometric functions etc (equivalent is slide ruler I think).Really helped us a lot. Calculators were very precious and not so common while growing up. Most of our undergraduate/grad school, we managed with 4 function calculator as proposed by Rick. Thinking of it now, that really helped. Calculator Use in High Schools in Other Countries? So, India too! Actually I think that the issue of the use of calculators in high schools is not so much a matter of "whether" but of "how" and "how much". Related to Calculator Use in High Schools in Other Countries? I 100% agree! "in high schools is not so much a matter of "whether" but of "how" and "how much". My concern for my students is the same: exactly how they use the calculators. As a high schooler, I really missed using calculator especially with time consuming problems. As you brought up earlier, how calculator-less problem solving could be time consuming. Examples of from class situation: Students reporting an order of reaction with respect to a reactant as 1 x 10-6? What does that mean? For beginners it should be simple number based on stoichiometric coefficients from the slowest step. I am just echoing your sentiment presented in "We don't want our students to become so dependent on calculators that they lose the number sense". I bring in humor how our age cannot be - (negative) 2.4 years. It should a positive number! Well the order could be 0 though. In your paper you have a nice example of 5000%. Similarly, with my students, I have noticed when they run mass% calculations, a lot of time they forget to include the factor of 100 in their calculations. That leads to the error in their steps. It is very concerning how these errors are more or less consistent everywhere. So true, learning is building process! I question whether "the number sense that they painstakingly began to develop in elementary school" is the reality. My impression is that, in some schools and not just in one country, the teachers take the view that their pupils really do not need to possess that "number sense" because, after they complete their education (?) to whatever level, they will apply calculators or the equivalent or they will be shielded from almost ever having to undertake mental arithmetic. In Denmark, for instance, which has an excellent state schooling system with 13 years of standard schooling before tertiary level if undertaken, a cashier or teller in a supermarket is relieved of making change by a machine that doles out the proper value of coins. All these problems at the beginning of education at the tertiary level are evidently due to deficiencies at the primary level. As an instance of a system that did prepare its pupils to possess that number sense, I recall in Newfoundland some decades ago, and before calculators, that teachers in schools drilled their pupils on the conversion between pounds, shillings and pence, even though Newfoundland adopted the dollar and its 100 cents in 1865! I thoroughly agree with the sentiment expressed by other participants in this discussion that university administrators should set standards for numeracy and literacy as entrance requirements, notwithstanding the 'diversity' of standards and practice in schools in USA. Simply treating the symptoms at the tertiary level, on which so much of the present discussion focuses, merely perpetuates the present deplorable conditions. "Simply treating the symptoms at the tertiary level, on which so much of the present discussion focuses, merely perpetuates the present deplorable conditions" I tried for a decade at a university to get the faculty to a) adopt a more progressive program for numeracy and literacy, and b) while doing so, send letters to all the state HSs to let them know that standards would be changing (requirements for continuing in STEM classes would get increasing more stringent). Notwithstanding a constant level of faculty dissatisfaction with student performance, not only was there no substantial progress in this area, but one faculty asked me "Are you really saying that you think that students need to memorize their multiplication tables?" So...I have to keep reminding myself that this conference is taking place at the university level. I have caught myself several times thinking that I was speaking out of hand, because I was addressing HS faculty, and my expectations were too high. I did not think this because of a low quality of discussion, but because I am surprised to hear this level of math illiteracy addressed so openly. I attended a very rural HS in the 1960s (19 in my graduating class ;-) and we covered all this. It is past time for university faculty and staff to step up to the plate, address numeracy and literacy in the remedial sense we are discussing, and push the problem back where it belongs: parents and lower grade faculty and admin. Only when it is made clear to parents that their children will face stronger challenges at university, with the possibility of attendant delays to graduating, will they become part of the process of improving education at lower levels. Now I agree with you Rich. Pushing my buttons! In total agreement with Rich! From my 23-year HS experience, then ten-year experience in college as Rich recounts, I will attest to this. Here’s my rant: We must STOP this bimodal distribution in college! It does a grave disservice to the well-prepared matriculating students, who then must participate in watered-down courses! Diagnose; don’t accept HS grades OR courses! Then demand remediation before being allowed to register for the important STEM fundamental courses. This may well mean the five-year plan! So be it! Or even a six-year plan. Let’s obtain a quality product! Demand RIGOR from Day One in all STEM coursework! Only then will we obtain a quality STEM workforce. Getting back to mathematics, if the HS doesn’t prepare a student for the tertiary experience, then the tertiary campus must do so, with all of the tools we are discussing in this ConfChem. Perhaps then we could get back to “normal” formal instruction without having to use all of these “tricks.” We must reverse what we suffer from “local-control” of primary and secondary education! Moving into politics (sorry, folks! ), I’ll vote for Bernie Sanders’ free college, but for ONLY those remedial courses, either in community college or in four-year colleges. After that it’s pay as you go, but hopefully students shouldn’t need to repeat courses. Save us! +1 for this presentation. (I usually round log 3 to 0.5). This presentation is very clear and straightforward. In my experience, its concrete nature appeals to students, and its simplicity helps them gain confidence that they can manipulate these terms. (I leave the discussion of /how & why/ logs work for another thread.) I know that it is old hat to me, but it is /not/ to my students, and this is the "tool-oriented" approach that I use. If I expect them to be proficient at mental math (and I guess by now you know that I do), I believe that I am obliged to provide them with tools that make the task easier, and here that is not a calculator. Thanks for putting this so clearly. Thursdays in the ConfChem are where we switch from “ask the authors questions about their paper” to “readers pontificate on what they think the papers mean.” Here we go! Dr. Leopold’s 2008 paper in JCE found that even though Gen Chem II exams allowed calculators, the student’s ability to solve simple math without a calculator was well correlated with the semester grade. The Texas data in Paper 2 of this conference shows a similar result for a large and diverse student sample. Why would this be true? My interests include research on “cognition in chemistry,” and I’ve noted that since 2008, this view of “many” has become the firm consensus of scientists who study how the brain works. What studies have added in the past 10 years is additional detail on why automated skills have this impact. According to the mainstream cognitive model, the brain’s “working memory” (WM) where it reasons can only hold small number of elements of “novel” information, such as the problem goal, a plan to solve, and problem data, and it can only hold these elements for 3 to30 seconds (depending on other processing occurring). If when solving a problem, a student must look up or calculate the answer to a question component, the resulting answer is “novel” and tends to bump out other “novel” data. Look up and calculation also take time, during which novel elements tend to drop out of WM. And once a relationship is in memory, it becomes connected (by the brain’s “wired circuits”) to other memorized relationships processed at the same time during problem solving. The strength of those connections, studies find, is what gives us our “intuition” of what steps to take when to solve other problems. So Dr. Leopold’s 2008 speculation has become 2017 science. By using practice to automate the application of fundamentals (as all of our authors have recommended), the science is applied to help students strengthen their problem solving. You saw it early, Dr. L.
Royer, J. M.; Tronsky, L. N.; Chan, Y.; Jackson, S. J.; Marchant, H., III. Math-Fact Retrieval as the Cognitive Mechanism Underlying Gender Differences in Math Test Performance. Contemp. Educ. Psych. 1999, 24, 181–266. With regard to this topic of gender differences, our 2008 study also found that the women, on average, got lower scores than did the men on our calculator-free Math Assessment (Tables 1 and 3 and Figure 6). For example (Table 3), for the first 3 questions asking students to identify the logs of 100, 0.0001 and 104, 38% of the 162 men got all 3 questions correct, but only 25% of the 163 women did. Of the questions not related to logs, 38% of the men got 11 of these 12 questions correct, but only 21% of the women did. My apologies for the length of the following excerpt (from pp. 8-9 of the Supplementary Material for that paper, which is also posted on our Moodle site), but I think that it's interesting, and may also apply to some other under-represented minorities in the STEM fields. "The authors anticipate that the improvements suggested above will be useful for many students, and may be particularly helpful for some of the women in our classes. This prediction is based on studies that have reported higher mathematics self-efficacy beliefs among men (18), on the gender differences observed in Tables 1 and 3 and Figure 6, and on our personal observations that the women in our classes tend, on average, to have more diligent study habits. The latter generalization is supported, for example, by submissions of extra credit problem sets and by laboratory grades. Their greater average engagement in the course is likely to account for the observation that the average Chem 1022 course grade for the women in our study (2.65) was slightly higher than for the men (2.60), despite the men's higher average Math Assessment scores. Thus, one may predict that many of the women who need to strengthen some basic math skills are also more likely to take advantage of the suggested resources. As noted in the text, while positive self-efficacy beliefs can function as placebos to facilitate the acquisition of new knowledge and skills and to strengthen students' persistence and drive to succeed, negative beliefs can elicit an opposite "nocebo" (19) response that can seriously interfere with learning and its enjoyment. Since students’ mathematics self-efficacy beliefs also provide strong predictors of their choices of majors and careers in the science, math and engineering fields (18,34), the increased confidence that can be gained in second semester chemistry may also promote women's greater participation in these areas, in some of which they are still under-represented." 18. Pajares, F. Gender Differences in Mathematics Self-Efficacy Beliefs. In Gender Differences in Mathematics; Gallagher, A. M., Kaufman, J. C., Eds. ; Cambridge University Press: Cambridge, UK, 2005; Chapter 14, pp 294–315. 19. Harvard Mental Health Letter, Harvard Medical School, March 2005. http://www.health.harvard.edu/newsweek/The_nocebo_re­sponse.htm (accessed Feb 2008). 34. Hong, E.; O’Neil, H. F.; Feldon, D. Gender Effects on Mathemat­ics Achievement. In Gender Differences in Mathematics, Gallagher, A. M., Kaufman, J. C., Eds. ; Cambridge University Press: Cam­bridge, UK, 2005; Chapter 13, pp 264–293. Regarding the comment, "gender differences"
You quoted this excerpt from your references. Although it refers primarily to female and under-represented students, it really generalizes to ALL students who struggle in chemistry with their weak understanding and skill in mathematics. “As noted in the text, while positive self-efficacy beliefs can function as placebos to facilitate the acquisition of new knowledge and skills and to strengthen students' persistence and drive to succeed, negative beliefs can elicit an opposite "nocebo" (19) response that can seriously interfere with learning and its enjoyment. Since students’ mathematics self-efficacy beliefs also provide strong predictors of their choices of majors and careers in the science, math and engineering fields (18,34), the increased confidence that can be gained in second semester chemistry may also promote women's greater participation in these areas, in some of which they are still under-represented." In my five years of running both required and voluntary chem-math recitations for my action-research, I found over and over again that students with terrible preconceptions of their ability to succeed, but a strong desire to do so, came alive when I provided the chem-math materials I purposely designed for them on which to practice for their lecture class. You will clearly see an example of this on the white-board I show in Paper #6, marked “Bam!” (Figure 4). The message I have learned is that we get the students we get, and usually beyond our administrative control. But as all of the authors so far have shown, by recognizing and acknowledging mathematics weaknesses, and developing our OWN material with which to intervene, we can help our mathematics-challenged students to become more able. Thus I give a big hardy “Thanks!” to all the chemistry educators who have contributed to this ConfChem. I would suggest that the major value of practicing the step-by-step mental arithmetic and algebra that Penn, Ranga, and Leopold advocate is that it follows the procedure that science recommends for gaining expertise in calculations. As one example, Dr. Leopold’s method of solving logarithms by mental math may initially take more time than log button use, and the mental math initially requires a calculation that takes up limited working memory. BUT if practiced repeatedly, over time the simple arithmetic the “mental math” method requires become “automated” (recalled as a reflex, like “6 times 7”) and the automated answer is does not bump other data out of WM. Cognitive experts say: To minimize confusion during reasoning in a field, thoroughly memorize as many fundamentals as you can. Experts avoid confusion in complex problems because for them, nearly everything has been automated. Arithmetic relationships are the fundamentals used most often in any quantitative science. After recall is automated, to stay automated, the recall needs on occasion to be practiced. The Minnesota and Texas tests may simply be general measures of the extent to which students have automated a variety of math fundamentals, and more automation means more successful reasoning during scientific problem solving. How about a structure for doing this? Now that we firmly have that nailed down, the next question for everyone is not what should be done that is not being done, but what can WE do? In other words, we now need a proto-curriculum for a recitation to accompany a gen-chem course, a Q-course (quantitative-reasoning course), a chem-prep course, a physical-science course, or a high-school college-prep course. Let’s hear what, exactly, should be memorized, and how shall this be conducted in a class to accomplish this end? Would all students in a class be identified and all at a very-low functional level? Or how would we assess a mixed group of students, and use those who do have a particular skill-set memorized to help others who don’t? How will precious class time be best utilized in this endeavour? Of course a full report would be a large undertaking, but perhaps some of our concerned readers could come up with a skeleton proscription. Thanks so much for discussing ideas on moving forward. I am also seeking ideas for commuter schools and schools serving students with diverse science/math backgrounds. How do we (instructors) provide a conducive learning environment for all students including first generation learners, returning students, commuter students, students who switch majors after taking gen chem 1 as a gen ed class (non-majors to start with)? What motivates me the most is the fact that there are always students who are 100% committed to learning, ready to do any amount of hard work to succeed. There are several things that need to be done. One thing is to work with the high schools (perhaps the math and science teachers) to work on some of the math and problem solving. Another is to do something that I believe some institutions do. Give the students a math test and if they do not get a certain grade, then direct them to the general chemistry class that has an extra hour per week where they do work on math and solving problems. Another idea is introduce things like study and communication skills, math tutoring during orientation and then have "refresher" sessions throughout the semester. For the latter idea, have a peer support network to carry this out. At my institution in Canada, we something called a MACE centre that has faculty members and TAs to help students with any math help. We also have a chemistry centre that has student tutors to help guide the students. I don't think there is any one solution to solve all problems, there needs to be several things that need to be done. O-K, let’s look at this from two perspectives. What I was discussing in my missive is a core syllabus and instructional approach for insuring students have memorized what they need to have, to be fluent and to succeed with the mathematics in working chemistry exercises and solving chemistry problems. This would be based upon the cognitive-science research that Rick cites about automaticity. It would also involve the individual efforts by folks in their classrooms like the authors in our ConfChem. The syllabus and structure would guide less well-read and experienced instructors in providing what students need most, rather than beating old, tired war-horse strategies like massive problem-sets for homework, no cooperative-learning, and lecturing that may not be helpful. The other piece is the administrative, institutional piece discussed by Parshotu. All of his ideas are certainly good. It’s a function of what can be done at a given time in a given venue. For instance, to affect the teaching of mathematics we would need to affect the NCTM (National Council of the Teaching of Mathematics), who do cutting edge research on how students learn math and promulgate best practices through their National Standards. And then have students who have been taught their mathematics by instructors who are informed by NCTM materials (not that the NCTM is necessarily the end-all in mathematics teaching and learning). It’s also a function of the high school/town or city school board and local administration – and that of the university and college, to the extent that they foster AND APPLY innovative approaches to the recruitment and retention of STEM students. And of the State, if it mandates state standards for math and science. In other words, we have to somehow create a salubrious affect in these larger venues as well as in our own classrooms. I have just about caught up. With SWRM and the World Series this week (yea 'Stros! ), it's been a bit busy. We have a new mandate in Texas (HB 2223) that will require those of us who teach gateway courses to incorporate needed skills into our courses. Can we do this without increasing the number of hours in class? (I do not think so!) I really think that this might be the precursor to creating a "grade 13." Doesn't Canada have a grade 13? What are the advantages of only having 12 grades? Disadvantages? Would a grade 13 be a good way to incorporate/review "forgotten" skills needed for success in STEM disciplines--assuming by this time students have an idea of the area(s) they want to pursue? In Canada education is a provincial responsibility. Half a century ago several provinces had a thirteenth year of public school, called senior matriculation, which was recommended for employment by the Dominion or federal government, whereas Newfoundland had only eleven years of school. In Ontario this thirteenth year was generally a prerequisite for admission into public universities, which might have enabled progression to a first degree in three years. In British Columbia, that thirteenth year was accepted as being equivalent to the first year of university. The Newfoundland system was subsequently reorganised to provide 12 years of public school. As far as I am aware, now no provincial education system offers such a thirteenth year and the term 'senior matriculation' has fallen from use, except possibly in Nova Scotia for which this term implies year 12 of school. However, at present, pupils are required to remain in school in Ontario and Quebec for the twelfth year, or their parents suffer penalties, as far as I am aware. An interesting case is Denmark: formerly a child could not begin formal school as year 1 before attaining six years of age, but two or three years ago a new year 0 was instituted and a child can enter that programme at five years of age. Only the years of school up to year 9 are compulsory, but more than 90 per cent of pupils remain in school to complete year 12 (which will become the thirteenth year when the present pupils progress to the end of their programmes). I have the impression that after year 9 there is some streaming, such that pupils who seek to continue to the tertiary level have at least some classes or courses separate from those pupils who, on the basis of examinations, are unlikely to be admitted to tertiary education. Although there are private schools in Denmark, all universities are state institutions, and three years is generally required to complete a first degree, in chemistry for instance, with magisterial degree requiring two more years and doctoral degree two further years. Some Danish students (i.e. in university) have even repeated a year of the latter three in secondary school because they enjoyed the experience -- found it intellectually and socially enriching. Note that the age to purchase alcoholic beverages in Denmark is 16 years in practice. The salaries of teachers in public schools in Canada are still attractive, with many senior teachers being paid more than $75,000 per year; with universal health care at modest cost or without explicit fee, the teachers work in the school year for about ten months and live well all year. Entry into the teaching profession is hence competitive, and the products of the Canadian school systems -- i.e. the 'graduates', exhibit a greater extent of numeracy and literacy than their counterparts south of the border, despite the destructive cultural hegemony in the northward direction. One of the factors that needs to be taken into consideration is the length of the school year. For the most part, we still use the 180-day September to June calendar. This reflects the time when students were needed to work on farms during the summer. Historically the school year came about because of the need for agricultural labor from those in the student age bracket and the lack of climate control in the hot months. It would seem to the outside observer that a longer school year might accomplish more and maybe it would. A central problem on most university and college campuses is the low enrollment during the summer. Of course, this means empty classrooms, dormitories, and cafeteria traffic. However, the buildings must be maintained and use utility and have staff on hand no matter what is going on with class schedules. The library will still be open at most schools. The grounds have to be maintained and so forth. These are largely under the heading of fixed costs. Educational leadership generally does not understand fixed costs but are grappling with the financial consequences. This is rarely more than partially covered by summer school enrollments. Many schools have gone to activities like band camps to offset some of this. On the other hand, most schools are now under 120 sem hrs to BS or BA limitation. One solution to the fixed cost problem would be to offer courses in the summer which would allow the students to finish in 3 years. This would not be popular with students or faculty and likely not the administration. How this would affect the graduate labor market is unsure as well. In response to both Richard and John, the solution is not a 3-year plan, but a 5-year plan! We really cannot do anything to affect the primary and secondary track. But we ARE responsible for the tertiary track, since we are the ones who send students into the world of work and, hopefully, meaningful productivity. The/a solution as I see it is this. We must diagnose matriculating students for their background in mathematics, physical-science, and English. When they fall short of a pre-professional standard, they will spend a year of remediation wherever they choose, at the institution itself in courses with no graduation credit or a community college at a far lower cost. They will then enter their tertiary STEM track, hopefully in a much better place. Of course, this does not fully ensure it, given the wide variability of institutions across the country, as well as less rigorous coursework and entrance criteria, but it’s a start. We simply must set a minimum standard and demand that students meet that, and take as long as it takes to address the insufficiency of their primary and secondary schooling. Yes, since our readers brought it up, we really cannot separate innumeracy from illiteracy. It’s all of a piece. Can we avoid a “year 13?” Do we need an extra year of schooling? What science has discovered, largely in the past decade, is that learning has two steps: First a student needs to “memorize:” To move new facts and procedures into the neurons of a long-term memory that after childhood becomes resistant to change (and/or distracted by adult biologically programmed interests). So initial learning takes focus and effort. But once new relationships are stored in memory so that they can be recalled, the brain is adept at wiring the elements of “new to the brain” knowledge into conceptual frameworks that allow their instinctive and expert application, IF the new information is repeatedly used to solve distinctive problems. During reasoning, you are pretty much limited in the brain's working memory to applying knowledge that is recallable from long-term memory. Knowing how learning works, instructors can help students learn by identifying what must be moved in to memory in a rational order, then assigning problems that use it. But the process of “initial memorization” involves self-testing: repeated “retrieval practice” using tools such a flashcards. High school and college students can and should do that during study time (which college students have quite a bit of if they put down their cellphones) -- if we can design a system of carrots and consequences that motivates them to do so. Class time can then be used more frequently for demonstrations and discussions of knowledge use and help with more difficult problem solving. Understanding the need and the why for those steps, I think we can make secondary and undergraduate schooling far more efficient and effective. But the fact is also that the process described above is close to the way schooling was, starting in first grade, until the 1960’s. Left to their own devices, most educators figured out empirically how learning worked and students were taught in that manner. In the 1960’s, control over K-12 curriculum in the U.S. began to move to levels above the classroom, where people were less able to empirically judge what worked. Calculators and computers led the curriculum decision makers to the wishful thinking that moving facts and procedures into memory could be avoided. As a result, students arrive in college with much less knowledge in their brains, literally, than they did 30 years ago. I think that is what your MUST test is seeing quite clearly. Gen chem textbooks still assume that students arrive knowing the math they knew 30 years ago. Would that they did. So, Diana, I think with effective math review we can get more to success in gen chem, as y’all in Texas are moving to do, and hopefully others will too. But it may take that “math for the sciences” one or two course concurrent with gen chem. But part of the solution also needs to be to lobby those who run K-12 (that’s not the teachers) to fix their curriculum to align with how science says learning works, so that students arrive in college with prerequisite knowledge knit within their memory. When that is achieved (and it will take time), teaching in college what was once taught in K-12 should not be necessary. These are some great questions - e.g., what math skills do we want our students to master to get the most out of introductory chemistry, and how can we help them review and strengthen these skills? Here's what I think (sorry for the length of this post). 1. Useful math skills for introductory chemistry: Without using a calculator, I think that students should be able to do (taking their time, and writing out the problems on paper) most of the problems listed in our "Math Practice Problems for Calculator-Free Numerical Problem Solving". This is posted on our Moodle site (see p. 1 of our paper for access information), and it includes answers, as well as descriptions of some pencil-and-paper math-friendly methods to solve these problems. These problems show the math components of some of our exam questions in second-semester chemistry at the U of MN, with the chemistry content removed. The corresponding chemistry exam questions are listed in "Multiple-Choice Numerical Problems from Old Exams with Answers Describing Calculator-Free Solution Methods". These questions cover most of the quantitative topics included in this course (not just the log-related ones that are highlighted in the paper posted here). Please download this document too if you have a chance. 2. Math review: To review these math skills, students may find it helpful to use our "Math Review for Calculator-Free Problem Solving," also posted on our Moodle site so that it can be easily downloaded. Its table of contents is listed in our paper (p. 20). This math review is intended to be self-contained, and to present these topics in a logical order, so that a given topic builds on the previous ones. Many numerical examples are included. I would say that students should have a working knowledge of the methods described in this Math Review in Sections I (Algebra and Scientific Notation) and II (Logarithms and Exponents), up to and including II J. The rest of Section II concerns the use of natural logs, which students might not have been exposed to previously, so this material might be introduced as needed. 3. Try it yourself: As an example of why I think these exercises are useful, readers are encouraged to print out pages 2 and 3 of the "Math Practice Problems", and do these 18 problems without a calculator. The numbers of significant figures required are listed just to give students an idea of when they should round off (e.g., problems 7, 15, 16). The answers are on p. 3, and descriptions of some ways to simplify the problems are on pp. 4-6. These problems show the math used in some of our chemistry exam questions on Solutions (Chapter 13 in our text, Silberberg), the first chapter we cover in second-semester general chemistry at the U of MN. This is nice because the math required is also the simplest. For example, the first problem listed in the Math Practice Problems, (1.86)(0.50), shows the math involved in chemistry question 16 for Chapter 13 (so it is labeled 13-16). This question is listed on p. 12 of "Multiple Choice Numerical Problems from Old Exams with Answers Describing Calculator-Free Solution Methods": "Assuming ideal behavior, what is the freezing point of a 0.50 m solution of the sugar sucrose in water?" As noted at the top of p. 2 of the Math Practice Problems, this first set of 18 problems uses skills described in Section I (A, B, F, G, I, J) of the Math Review (order of operations, associative and commutative properties of multiplication and addition, multiplying and simplifying fractions and rational expressions, scientific notation, multiplying and dividing numbers in scientific notation, method of long division). If you do these problems on paper, you'll probably notice that you naturally simplify expressions, using your working knowledge of some of the above math methods to make the problem easier to solve. For many of these problems, many of our students wouldn't think to add these extra steps on paper to make the best use of their arithmetic knowledge. Doing these problems is a good way to remind them of these techniques. 4. Students practicing math fluency: A fun exercise in small groups might be to think of different ways to solve these (or similar) "Math Practice Problems", by adding some extra steps like those noted above, to simplify the calculations to forms that one can more easily solve. Students can compare methods and assess which makes it easiest to "see" the correct answer. This is a way for them to "take ownership" of the math. Given the right tools and seeing their teachers model this type of pencil-and-paper math, high school and college students will quickly learn these "tricks" and even grow to enjoy them! Who doesn't like finding ways to save work? 5. Teacher training: These would also be good math and chemistry problems for future high school and college general chemistry teachers. These problems (and the posted Math Review and Math Assessment) can help them hone their own pencil-and-paper math skills, and to assess for themselves to what extent it's pedagogically beneficial to design chemistry problems that incorporate pencil-and-paper math-friendly values and encourage estimation. A friend of mine took temporary employment grading teacher certification exams here in Texas (I expect few states are that different.) Her job was only to grade the essay questions because the multiple choice were machine processed. She said it was a horror story in terms of lack of correct grammar, punctuation, spelling, sentence structure, and vocabulary. The worst part of it is that the overwhelming majority still got passing marks for the overall exam. As I have stated before, standards are only as good as their enforcement. Pragmatically, what would the school system do if most of the graduating teachers suddenly flunked the certification exam? In a preceding contribution to this conference I noted the fact, perhaps unwelcome, that USA placed at 28 among 31 countries in adult literacy. Please let me quote from a Wikipedia [should be Wikipaedia] article on literacy in USA. "The Institute of Education Sciences has conducted large scale assessments of adult proficiency in 1992 and 2003 using a common methodology from which trends could be measured. The study measures Prose, Document, and Quantitative skills and 19,000 subjects participated in the 2003 survey. There was no significant change in Prose or Document skills and a slight increase in Quantitative attributes. As in 2008, roughly 15% of the sample could function at the highest levels in all three categories. Roughly 50% were at either basic or below basic levels of proficiency in all three categories. This government study showed that 21% to 23% of adult Americans were not "able to locate information in text", could not "make low-level inferences using printed materials", and were unable to "integrate easily identifiable pieces of information." Further, this study showed that 41% to 44% of U.S. adults in the lowest level on the literacy scale (literacy rate of 35 or below) were living in poverty." Hence, according to the criteria and tests within USA, half that population is essentially illiterate. Is it any wonder that tests of teacher certification produce results similar to what Dr. Pendarvis has mentioned? The teachers who received "passing grades for the overall exam" become thereby, like the mythical James Bond, "licensed to kill", by proceeding to act as the lame to mislead the blind who will form the next generation, and to perpetuate the condition. Earlier this week I complained about a poorly expressed question that sought to test numeracy; the instructor stated that the price of a pill had increased 50 times or 5000 per cent, but none of six choices of answers to the question was consistent with that information. Then somebody objected that one of the choices was appropriate because it was nearest the correct answer and should have been selected on the grounds of significant digits; as all numbers in the question are integers -- and hence have infinite precision, the aspect of significant digits simply does not arise. Errors of literacy were compounded by errors of numeracy. Another painful instance of the failure of the present educational system in USA is glaringly obvious. Because of the cultural hegemony of USA as the richest (although 23 per cent of children in Arizona public schools, for instance, warrant free school meals) and most advanced (although the legal system of weights and measures in common use is still the British Imperial system that the rest of the world, perhaps excluding Liberia and Burma -- what marvelous company[! ], has abandoned in favour of the International (metric) System) country on earth, the deficiencies in the USA educational system seep into, are accepted by, and are even coveted in other countries by unknowing and unthinking leaders and administrators. Some months ago a journal (ACS Omega) belonging to American Chemical Society published an article describing the identification of a new boron hydride, B3H3; on behalf of my coinvestigators, I composed this manuscript according to the most scrupulous standards of grammar, spelling, composition and technical notation. When the page proofs arrived, I was appalled at the gratuitous errors and infelicities introduced by the editorial staff of that journal, but, like Don Quixote, I might as well tilt at windmills as try to eliminate the barbarisms and solecisms that replaced my carefully constructed prose. The literacy of editors and their editorial staff, like all but 15 per cent of USA population, is highly questionable. Our efforts in this conference to combat deficiency of numeracy, and implicitly also deficiency of literacy, might indicate a trend to rectify this deplorable situation. One can hope only for effective leadership that can adopt remedial measures to have some impact on the next generation. Before we get too far down this road, I would suggest that folk take a look at the Praxis exams for certifying math and chemistry teachers at the ETS site. Practice exams are available to be looked at. https://www.ets.org/praxis/. I cannot resist responding to the criticism of my paper expressed again in your most recent post. Your writing style is eloquent, as always, but in my opinion, the point you make is both incorrect and misses the point. (That is a bit like a measurement that is highly precise but inaccurate.) However, this excerpt does illustrate another important requirement for excellent teachers. There's a wide variation among children in the development of their math skills, and those who develop these more slowly may be the objects of personal attacks and attempts at public humiliation by peers whose math skills are developing more quickly than their social skills. It's important for excellent teachers to model a helpful, nurturing and constructive attitude, and to encourage their students to do the same, to help avoid demoralizing early experiences that may produce college students who tell us they are "bad at math" or "don't like math". The question on my Math Assessment that is at issue, which is described on pp. 27-28, is the following: "If a pill initially costs $1 and then the price increases 5,000%, what is the new price?" In this multiple choice question, the answers listed are: $500,000; $50,000; $5,000; $500; $50; $5. All of the answers are given to one sig fig; students are not being tested on their understanding of sig figs. It is argued that the answer should have been $51 rather than $50. As I have said before, I think that giving the answers to just one sig fig is fine, because the percentage is given to just one sig fig in the question. It is true that some integers have infinite precision; e.g., coefficients and subscripts in chemical equations, unit conversions, quantum numbers, etc. However, it is not true that, in general, integers in chemistry problems should be interpreted as exact. A volume given as 100 mL has just 1 sig fig; to specify 3 sig figs, one would add a terminal decimal point (100. mL). That is, in the absence of a terminal decimal point, trailing zeroes are not significant (see, e.g., Silberberg and Amateis' "Chemistry", 8th Ed., pp. 29-31). If I had wanted to specify a more exact percentage, I would have used 5,000.0% rather than 5,000%. The interesting result here, however, is that one-third of the students chose $5,000 rather than $50, indicating a math misconception that 5,000% means 5,000 times. The same misconception concerning percentages was observed in our 2008 study (p. 20 of the Supplemental Material), in which a question (#22) asking for 0.05% of 100,000 marbles was answered correctly (50 marbles) by 43% of the students, with 24% interpreting 0.05% to mean 0.05 times (giving 5,000 marbles). Ironically, I had anticipated that the 5 paragraphs following this question (p. 28), which relate the students' responses to Hillary Clinton's surprising election loss, would have been the controversial aspect of this section of the paper! I suggested there that (in part) due to a misunderstanding of percentages, enough people didn't vote for Clinton (e.g., neglected to vote for president at all, or voted for a third party candidate) that she lost the election, so we now have President Trump. This discussion concludes, "The price we pay for a mathematically illiterate electorate can be steep. People often make critical decisions involving numbers based mainly on gut feelings and intuitions, without first consulting their calculators. As high school and college chemistry teachers, we can do our parts to encourage our students to develop a deeper level of mathematical fluency. This skill can better inform not only their future academic and career activities, but also the feelings and intuitions that will influence some of their most consequential decisions." Perhaps the above points are more significant, controversial, and worthy of discussion. What are some other examples in which a lack of math fluency can negatively impact the choices people make in their future careers or in other aspects of their lives, even though they may always have access to calculators, smartphones, laptops, etc.? Perhaps this is a good day to weigh in on this and the other broad issues that have been raised, since those of us reaping the benefits of the end of daylight savings time have (exactly) 1 extra hour! There is really no necessity to continue this discussion. Before I mentioned, in a preceding contribution, the relation of significant figures to integers, I consulted information available on internet. Either your original question was poorly worded or the given answers were inappropriate. For integers, significant figures are irrelevant. Your attempted defence smacks of rationalisation post facto. In an oral context, one might assert "Say what you mean, mean what you say". Do you object to that logic? On the next occurrence that you have occasion to administer a test such as that on which the question appeared, with the same wording of the question, you might proffer both 50 and 51 among the selection of answers. You might then discover whether any student is more perceptive than the instructor. Some of the situations that you describe are so common, I see it all the time. "(For example, the last question in the Math Assessment in our 2008 J. Chem. Ed. paper asked students to simplify (a - b) / (c - b), for which the answer was "none of the above". Yet, 13% of the students chose a / c.)" I have noticed this with with numbers as well. But when you actually train them to run numerator and denominator separately, they perform better on these types of problems. I like your discussions on "pencil-and-paper math-friendly". We run remedial math classes through math department. Worth discussing these ideas with them. Simple yet powerful ways to bring our students upto speed. One of the things we as instructors should avoid is using the term "remedial" as it has negative connotations. However, using terms such as "student success" may be more helpful getting students to use the extra help available. I agree with Rick. Changes need to occur at both the college level and elementary/high school level. So the questions are how do you get the two levels to work together and how do you ensure that certain standards are met in the curriculum. I believe my students have the ability but not the skills to do well. Just a note that one of the participants discovered that she wasn't able to log on to our U of MN Moodle site using Chrome, but Firefox worked. Also, Word files have been added, so the posted materials can be more easily modified for people's classes.